complete an academic and career portfolio that details a comprehensive career/academic path for their chosen career or trade. New students participate in an introductory class that explains the portfolio requirement. The completion of this portfolio is required for graduation. Graduating senior presents his/her portfolio to a panel that includes a chosen teacher, an administrator, a chosen student (under classman), a parent or other family member, a community member, which can include a school board member, a workplace member or other. New students enter the PVHS program every six weeks after a 2-day orientation; these six-week sessions allow students to see their success right away through course completions. Students come in with a varying amount of credits and are placed in an advising group the first day of a new session. The school year runs from mid -July through mid-June, with six 6-week sessions, providing for an opportunity for students to accelerate their earned course credits. Students earn .25 credit for each of five classes, but may earn more for work experience, volunteering or completing Independent Studies. They may earn 7.50 or more credits in one year for a total of 22 credits needed for graduation. The school graduates 50 – 60 students a year, either in December or in June. 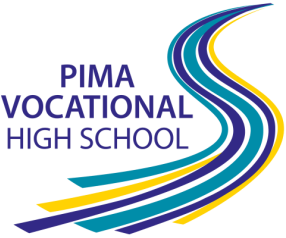 PVHS has two sites, strategically placed in the Tucson area. Students choose their site based on proximity to home as well as the job placement opportunities in which they are interested.